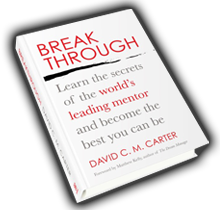 If you’ve arrived at this site, chances are you are seeking a breakthrough in some area of your professional or personal life – or both. Do you give your SELF as much time and attention as you do your WORK? – or being a business-owner. Or a FREE presentation at your workplace? Call or email now to discuss how BreakingThrough can benefit you. You will also receive an opt-in email for my Jennifer Moalem Newsletter. Please confirm if you are happy to hear from me occasionally.